Welcome! Teens and young adults with disabilities often have questions about the future, like "Where can I get my first real job? How do I get my own place? How can I pay college tuition? Should I disclose my disability to employers or professors?" 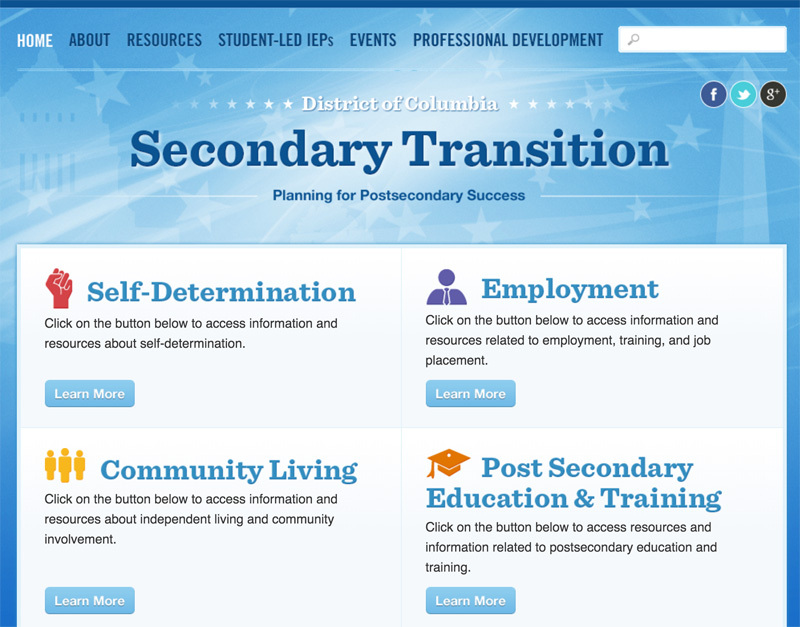 We created this website to help young adults with disabilities in the DC area answer these questions and plan for their future. We hope that these success stories and local resources will help ALL teens and young adults achieve their dreams. Learn more about our team. Schooling and socialization have created challenges for Elisha because of emotional and behavior disorders, including attention-deficit hyperactivity disorder. 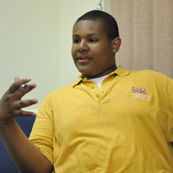 With medication and support, he is now a well-spoken, outgoing 16-year-old with a clear vision of what he wants to accomplish. Elisha's strengths include his self-awareness about what he does well and what he has to take responsibility for in order to be successful. Elisha learned to speak up for himself to teachers and other adults and now he is active in speaking up for others with disabilities, too.